According to the American Society of Plastic Surgeons, buttocks augmentation procedures with fat grafting have increased 10 percent from 2016 to 2017. As many as one in 3,000 people who undergo the procedure die, many from a fatal fat embolism. This surgery has the highest rate of death of all aesthetic procedures. This data precipitated the urgent warning of deaths from the procedure that was issued in mid-July by a task force of five societies representing plastic surgeons from around the world. “Let patients know this is probably the riskiest operation right now,” said McGowan Institute for Regenerative Medicine faculty member J. Peter Rubin, MD, Chair of the Department of Plastic Surgery, UPMC Endowed Professor of Plastic Surgery, and Professor of Bioengineering at the University of Pittsburgh. He is an internationally recognized expert in the science of adipose stem cells and fat grafting. 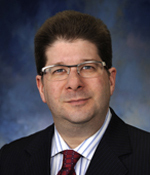 He serves as co-director of the Adipose Stem Cell Center and is founder and director of the Center for Innovation in Restorative Medicine in the Department of Surgery at the University of Pittsburgh. He is one of three co-chairs of the Gluteal Fat Grafting Task Force. The warning was followed by a report that identified common factors in autopsy reports of patients who died and also offered guidelines for surgeons to reduce the chance of complications from the surgery. “We’re taking aggressive action to get to the root cause, to work together to make procedures safer,” Dr. Rubin said. Studies on the procedure will continue to help resolve the issues, Dr. Rubin said, but in the meantime, the safety guidelines will be explained to doctors. He said patients should know that some doctors operate in facilities that are not accredited or licensed for the procedure. “You’re always going to be safest in the hands of a board-certified plastic surgeon,” Dr. Rubin said, recommending that people considering surgery should go online to see if their surgeon is certified by the American Board of Plastic Surgery. “This is an operation that carries risk. Patients should know that,” Dr. Rubin said.